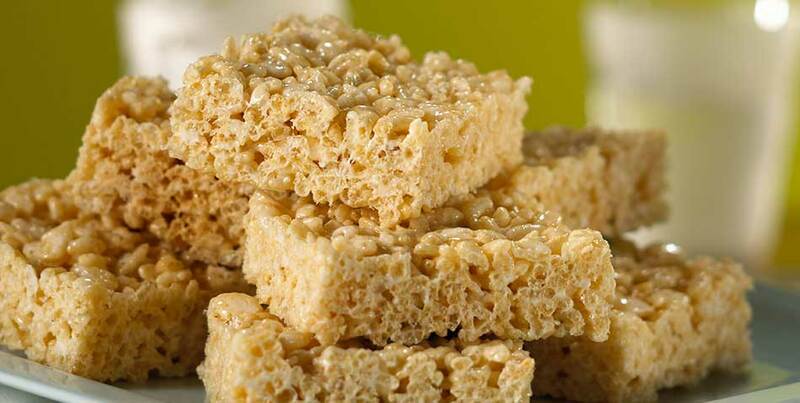 Rice Krispie Treats – The Ultimate Anytime Treat | Cook, Party, Enjoy! 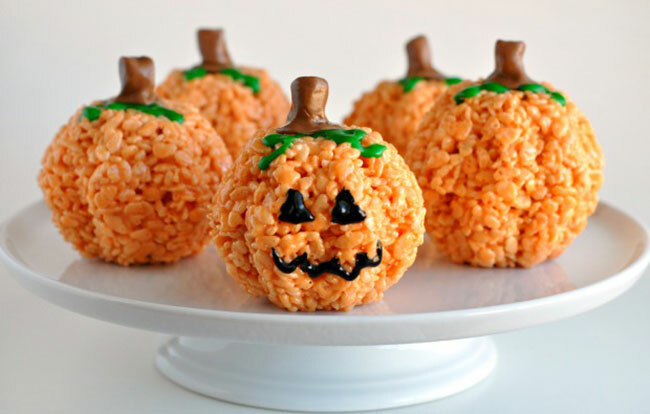 Fun,Fun, Fun… like Rice Krispies Treats. My mom actually wrote this recipe down off the cereal box in the 4o’s and I still have the little piece of paper with the recipe just like she scribbled it down. I can say I started making these when I was in elementary school. I loved to cook and these are so easy and the reward so huge I made them often for my sisters and me. As I got older I made them often for friends, as gifts and for various pot luck suppers and fundraisers. They are always a HIT! They’re inexpensive and such and easy recipe it’s just melted butter, marshmallows, and cereal. And the real kicker is that the treats have the added nutrition, protein and fiber of the cereal so your kids are getting more than just starch and sugar. Nothing is easier to “cook”. Try this with your kids, or even yourself. Men LOVE these sweet treats. 2. In a Giant Bowl, (I use my giant bowl from Tupperware) add KELLOGG’S® RICE KRISPIES® cereal. Toss cereal in the marshmallow/butter mixture until well coated. -For best results, you need fresh marshmallows. -No marshmallows- Substitute 1 jar (7 oz.) marshmallow Fluff for marshmallows. -Fat is a necessary ingredient to this recipe, diet, Lite, reduced fat, or tub margarine is not recommended. You can use butter or margarine. Blue Bonnet margarine is good. 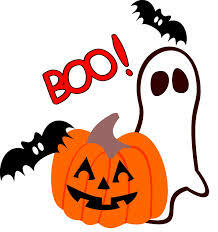 -These treats don’t have a shelf life–Store no more than two days at room temperature in airtight container. You can keep them longer if you freeze them, place in layers separated by wax paper in an airtight container. They will stay fresh in the freezer for up to 6 weeks. Freezing them makes it easy to drop them in your kids lunch box, they thaw by lunch time and are like they were made that morning. If using them at home, let stand at room temperature for 15 minutes before serving. Now the exciting part of this Recipe is that you can let your imagination run wild and use just about any cereal out there, add all sorts of different additions with just some minor adjustments to the recipe.